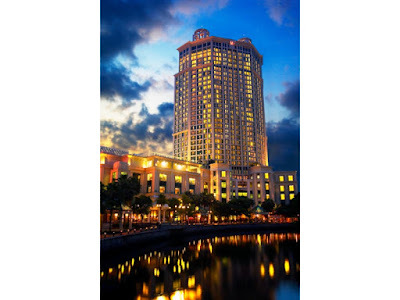 Grand Copthorne Waterfront Hotel, an award-winning 5-star hotel overlooking the Singapore river, wants to help its guests “Live like a Local” through a year-long campaign of weekly experiential local tours and monthly workshops designed to showcase the rich tapestry of Singapore’s sights, tastes and sounds from the locals themselves. Come 1 December 2018, across a period of one year, international travellers and local staycation guests are in for a treat when they book their stay with Grand Copthorne Waterfront Hotel in Singapore. Happening every Saturday with compliments from the hotel, embark on a half-day tour at one of Singapore’s oldest housing estate—yet undeniably one of the hippest neighbourhood—Tiong Bahru. Immerse yourself in the seamless blend of contemporary and traditional elements in this charming neighbourhood – from hand-painted wall murals to old-school local pastries from a fourth-generation bakery. 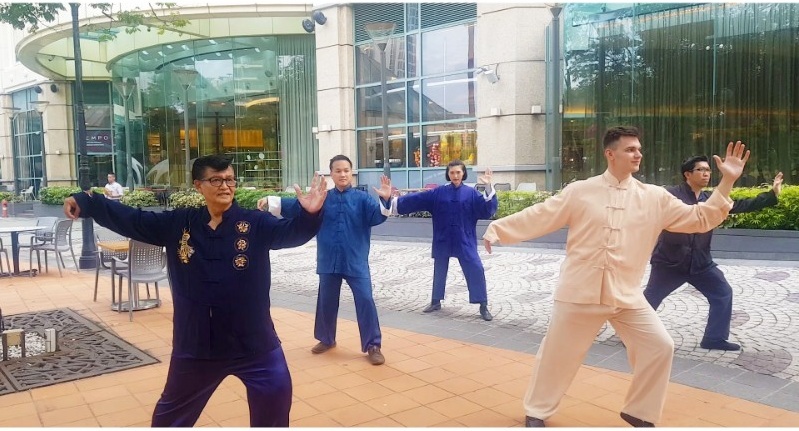 In addition, on every first Saturday of the month, guests can participate in a calendar of hands-on activities and workshops curated both in accordance and celebration of the Singapore’s cultural festivals. Overlooking the historic Singapore River, Grand Copthorne Waterfront is a 550-room premier deluxe conference hotel where luxurious elegance and contemporary style go hand in hand. 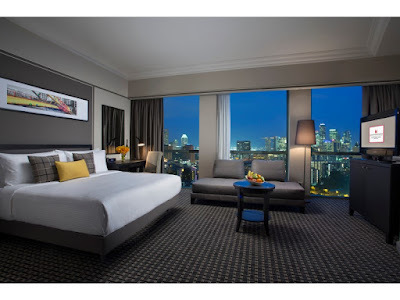 It is ideally located near the Central Business District and the waterfront precincts of Robertson Quay, Clarke Quay and Boat Quay. An integrated dining destination, The Grand Copthorne Waterfront Hotel houses Food Capital, a buffet restaurant with interactive live stations, Grissini, a contemporary Italian grill restaurant, Grand Shanghai, a unique dining concept serving authentic Shanghainese cuisine and Tempo, a dynamic bar ideal for post dinner revelry, all under one roof. With 33 versatile meeting rooms covering an impressive 850 square metres, the Waterfront Conference Centre offers state-of-the-art meeting aids such as wireless broadband internet access, built-in projectors, intelligent lighting, sound systems for special effects and most importantly, the highest standard of excellence and personalised service to guest, delegates and organisers. Awards and accolades include International 5 Star Hotel (2017-2018) by International Hotel Awards, Grand Luxury Hotel of the Year 2017 by Luxury Travel Guide, Singapore's Leading Conference Hotel 2015 by World Travel Awards, Her World Brides Venue Awards 2017, Blissful Brides Editor's Choice Preferred Banquet Venues Winner 2017, Wine & Dine Singapore’s Top Restaurants 2017/2018, Wine Spectator’s 2017 Award of Excellence for Grissini Restaurant, SHA Excellent Service Award 2015, BCA Green Mark Platinum (2015-2018) and PUB Water Efficient Building Gold Award (2014-2017). 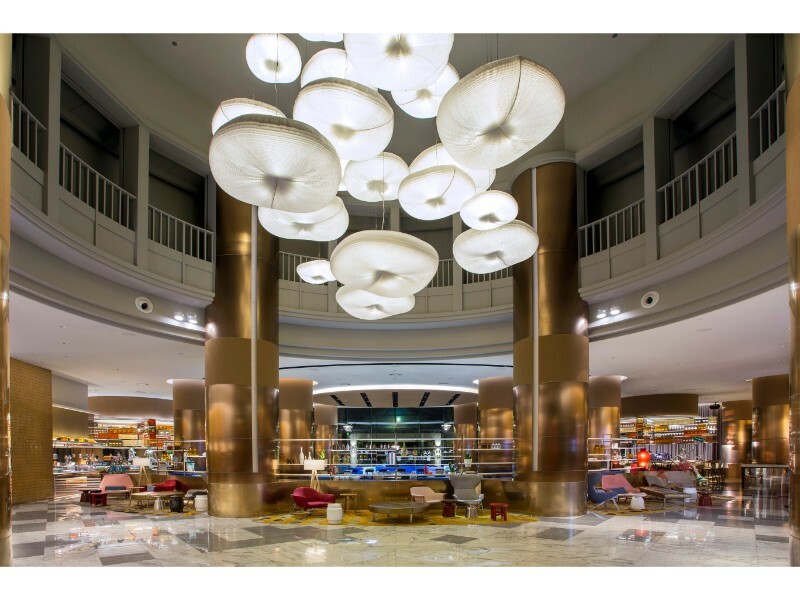 A short 3 minute car ride or 10 minute walk, the hotel is in close proximity to the hippest town, Tiong Bahru. Every Saturday, guests can join us for a complimentary guided tour picked up by coach (9am to 1pm) and embark on a heritage walking tour of Tiong Bahru. Known as one of Singapore’s oldest housing estates, Tiong Bahru has developed and transformed over the years into a neighbourhood where there is a seamless resemblance of contemporary and traditional elements. 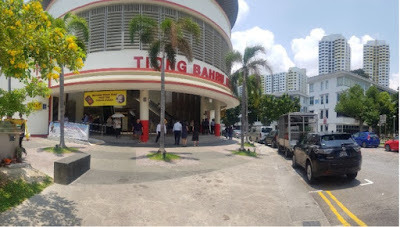 Originally built in 1950 as the Seng Poh Road Market, the market was revamped in 1993 and renamed as Tiong Bahru Market. A two storey building with a wet market located on the first level and cooked food stalls also known as hawker stalls on the second level, Tiong Bahru Market is an integral part of how the locals live. Boasting some of the best hawker stalls serving local culinary delights including breakfast treats- chwee kueh, min jiang kueh, you tiao, traditional kaya butter toast and all-day delights- fried carrot cake and the Michelin Guide Bib Gourmand fried sotong prawn mee, it is no wonder Tiong Bahru Market is always packed. For the first stop of the tour, guests will be introduced to Singaporeans’ ‘chope’ culture, taught the local way of ordering drinks such as kopi siew tai, teh c etc and enjoy a local breakfast. Adventurous guests can also step up to the challenge and try the old-school local drinks such as kopi or milo with raw egg. 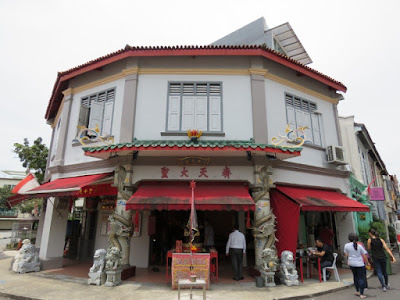 Founded in 1920, Qi Tian Gong Temple is believed to be the first temple in Singapore that is dedicated to the Monkey God, a main character in the Chinese classical novel Journey to the West. Here, guests are encouraged to try drawing divination lots by asking a question in mind and letting the divination lot give insights and help to predict the future. 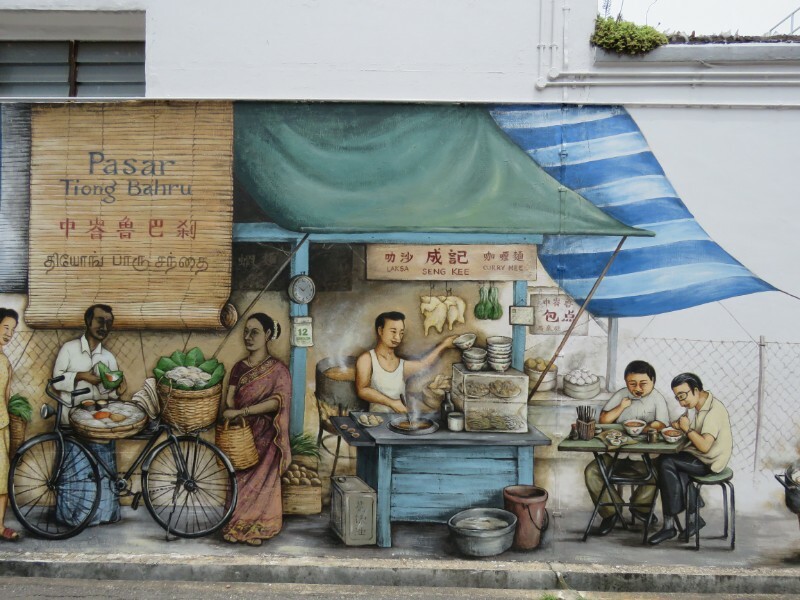 Take a trip down memory lane and connect with the history of how life was like in Tiong Bahru with a walk-through of various heritage-themed wall murals. 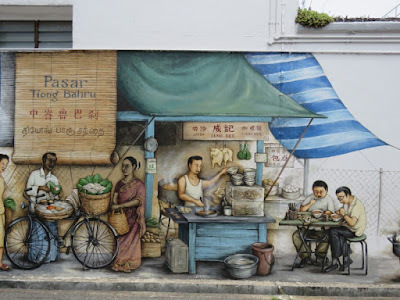 Spot the uniquely Singaporean elements such as local brand products in the hand-painted wall murals. Guests can get funky and snap photos of themselves with the art pieces. 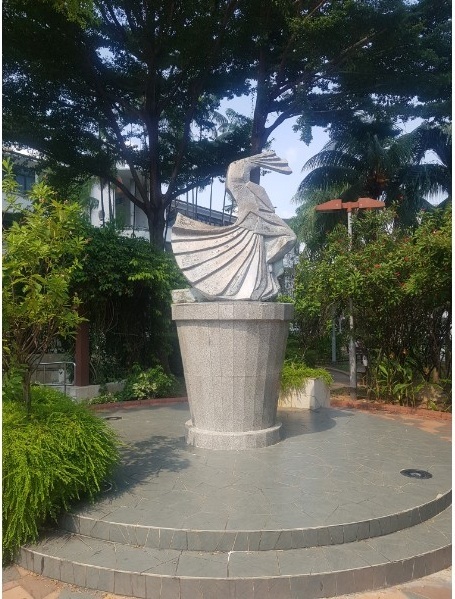 Admire the Dancing Girl sculpture in the cosy Seng Poh Garden, Tiong Bahru’s only piece of public sculpture. The Dancing Girl is the work of the late Mr Lim Nang Sang, who was the same creator for the Merlion sculpture. The Dancing Girl sculpture was created in 1972 when Seng Poh Garden was conceived. Visit Galicier Pastry, a bakery where time stood still with a history spanning four generations in the family. Guests can purchase and indulge in traditional local nonya kueh, retro cakes, traditional cookies and pastries. 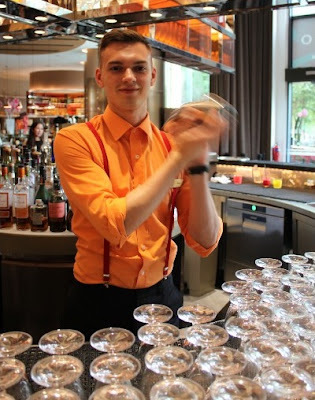 Every first Saturday of the month, guests can embark on a fresh, hands-on experience whereby they can join the monthly in-house hotel activity curated according to the cultural festivals like how the locals do. Discover and learn insider techniques from the gems of the team. 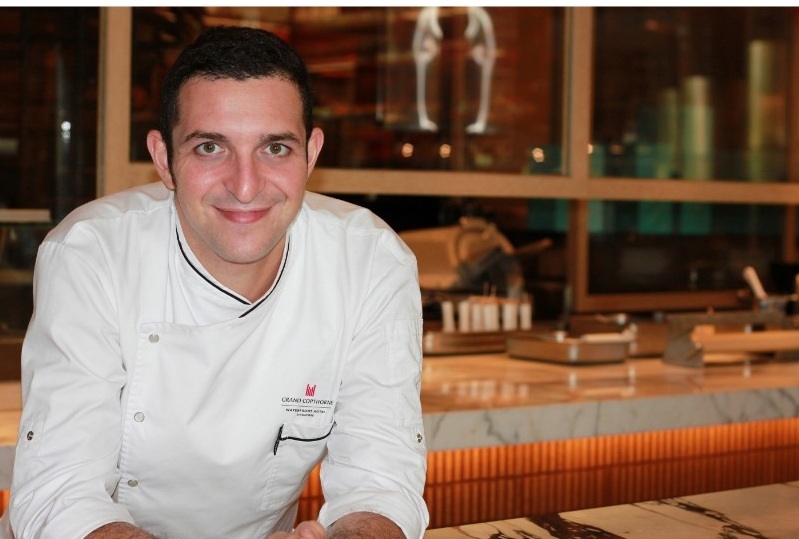 Learn and take home insider tips from Grissini Italian Head Chef and prepare a special Italian savoury this Christmas for your loved ones. Start the New Year like how Singaporeans do by setting your New Year resolution of staying healthy. Bring home techniques of breathing and healthy living by participating in the sunrise tai chi class at the promenade along the scenic Singapore River and learn to be a Tai Chi Master. Lunar New Year goodies always make it to the top conversation topic during gatherings. Join our team of pastry chefs and learn how to prepare traditional Lunar New Year cookies to wow your guests when they visit you during the Lunar New Year. Create that painting for a good cause. Sit by the historical Singapore River and let your imagination guide the drawing. Your painting will be up for sale and proceeds go towards unity, celebration, reflection, advocacy and action for women. Join us in our concerted effort on change. Learn how to make the Easter cocktail that you always wanted to. Our bartenders start with the booze basics and may share insider tips on how to create the best of Singapore’s most iconic cocktail, the Singapore Sling. Hari Raya Puasa, also known as Hari Raya Aidilfitri, is the last day of the Muslim holy month of Ramadan that is celebrated in Singapore. Mark the end of the fasting month by learning how to make a homely dish to celebrate the Hari Raya. Based on the legend behind the famous Dumpling Festival, commemorate Qu Yuan’s sacrifice and determination for justice by learning how to make traditional Singapore dumplings. Learn the ropes of turning food into art from our own Hotel Artist and Singaporean Award Winning Olympian at the chocolate carving art session where you will get an opportunity to carve Singapore’s iconic Merlion from a piece of chocolate. Celebrate Singapore’s National Day with a tribute to our home-grown hawker. Learn how to make one of Singaporean’s favourite dish from our invited heritage hawker. Bond with your family this school holiday by learning how to practice family yoga at the Promenade overlooking the historic Singapore River. Stay fit when you stay with us. Diwali or Deepavali is the Hindu Festival of Lights and is celebrated in Singapore. Learn how the temporary body art is done on hand palms as a sign of beautification and getting into the festive mood. For a meaningful closure of the year, why not give someone something special that you handmade? Terrariums are beautifully decorated mini gardens and this spot of greenery can do wonders for brightening the crib. Join us in a session and take your beautiful creation home.